There’s a rugged charm to this distinctly rural region, with pine-studded hilltops soaring over intensively farmed fields and remote, bumpy roads meandering through coffee plantations. Two national parks are of key interest. Cat Tien is a Unesco-listed biosphere with an impressive variety of flora and fauna. Yok Don is Vietnam’s largest protected area and is home to elephants and prolific birdlife (including the giant ibis). Both parks give visitors the opportunity to explore Vietnam’s all-too-rare wild side. Dalat, a former French hill station that still boasts plenty of colonial charm, makes a great base. Fast establishing itself as Vietnam’s highland adventure sports mecca, it offers myriad biking and hiking trips for daytime thrills and an array of atmospheric restaurants and bars for after-dark chills. Mar Great for the annual Coffee Festival in Buon Ma Thuot or elephant races in nearby Don. Oct Autumn in Dalat, the perfect time for exploring or adrenaline-pumping activities. 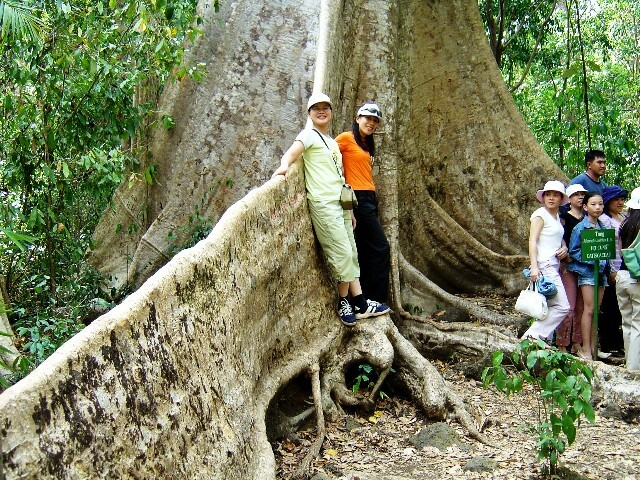 Dec Trek or cycle through Cat Tien National Park in cooler times, visiting the wild gibbons.